The Coin World 2012 Guide to U.S. Coins Prices & Value Trends features more than 40,000 values in as many as 20 different grades for all U.S. coin series. Also contains analysis on rare coins. The Coin World 2012 Guide to U.S. Coins Prices & Value Trends features more than 40,000 values in as many as 20 different grades for all U.S. coin series. This 24th edition presents an in-depth analysis of the rare coin market from August 2010 to August 2011. The Coin World 2012 Guide to U.S. 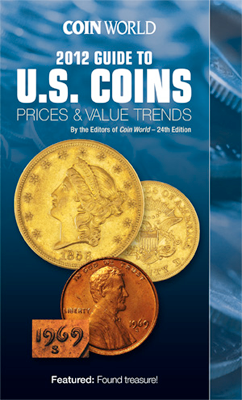 Coins Prices & Value Trends contains actual-size photos and technical specifications for each of the U.S. coin series.